Despite the warmth and palm trees making it feel anything but Christmassy, we were determined to try our hardest to get in the Christmas spirit (apart from Niall). As it’s now into December we can get into the full swing of it and that started with Kathryn and Laura having a Christmas lunch at their work and having to bring in some food that was from the UK (it’s a very multicultural workforce and so there would be a range of delicacies). Kathryn chose to make pigs in blankets which turned out to be an excellent shout as the Australian part of the workforce believed that these were sausage wrapped in pastry (so a sausage roll) which was quite a surprise! 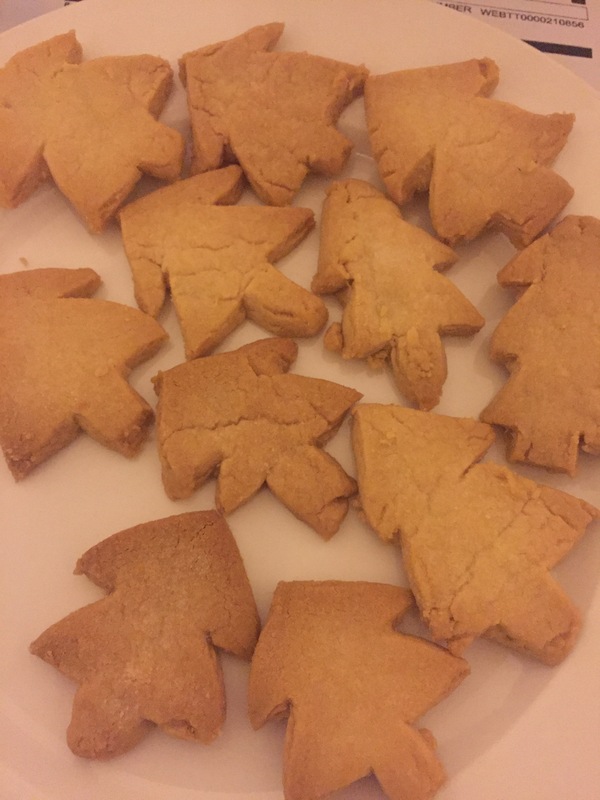 Laura was going to take in scones but there was a bit of a mishap when making these so I made her some shortbread to take in instead and cut them into Christmas trees. We don’t have scales so all baking is extra challenging as we just have to guess if the measurements are right. Everywhere we look in Melbourne there are signs of it being near to Christmas. 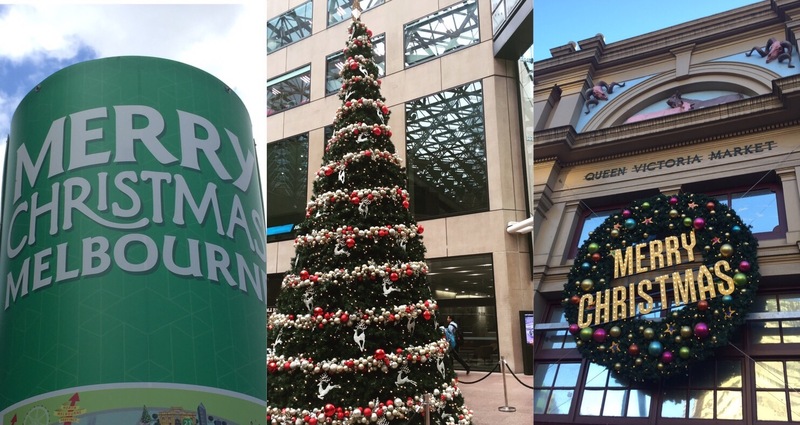 Shopping centres have Christmas trees and ‘merry christmas’ is written on signs and banners throughout the city. It’s still weird to see considering there are blue skies instead of frosty mornings but I’m still looking forward to experiencing a hot Christmas (even though I know I’ll be sad to not being with my family like normal). As a surprise for Laura and Kathryn, and as a thankyou for them having us to stay (it’s saved us loads of money and been so nice to be living with them!) we decorated the flat as Christmassy as we could whilst they were out at work on day. We were on a budget but K-Mart sells cheap Christmas trees and then I did paper decorations like back when we were in nursery so we could make the house super Christmassy before they got home! (The light Christmas tree was Kathryn’s work). We already have planned to have a Christmas dinner and will then be spending the rest of the day on the beach. Even though it won’t be the same for us all away from our families and friends, we have become a mini family out here and I know we’ll all make sure that this Christmas is a one to remember!